These French Kitty sisters always get along and into trouble. They love their hand knitted angora blend sweaters and floral skirts. 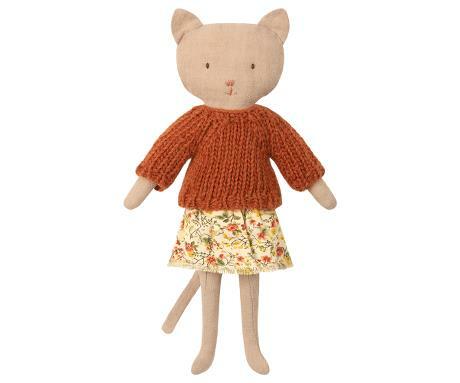 She has selected a spiced orange sweater with light yellow floral skirt. Add a knitted hat to complete their look.